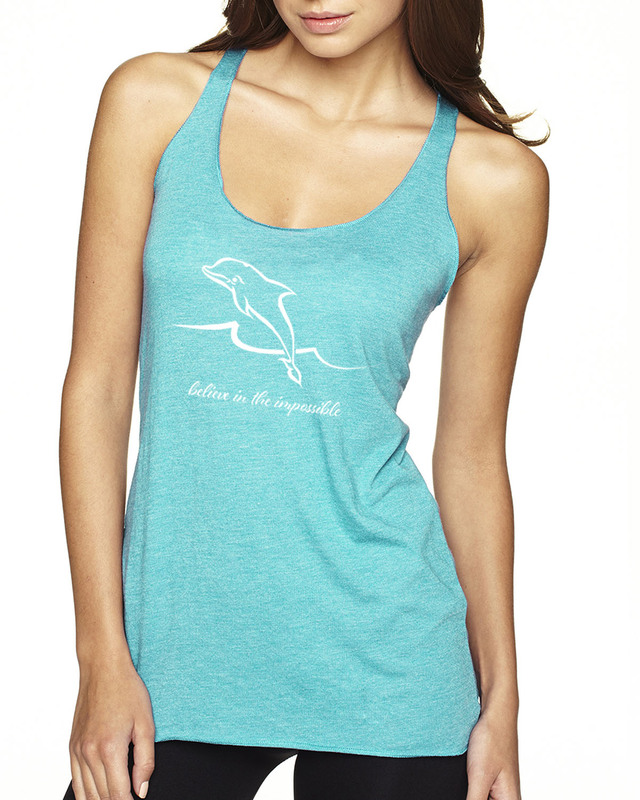 New Tri-blend Racer-back Dolphin design on tank tops for women. 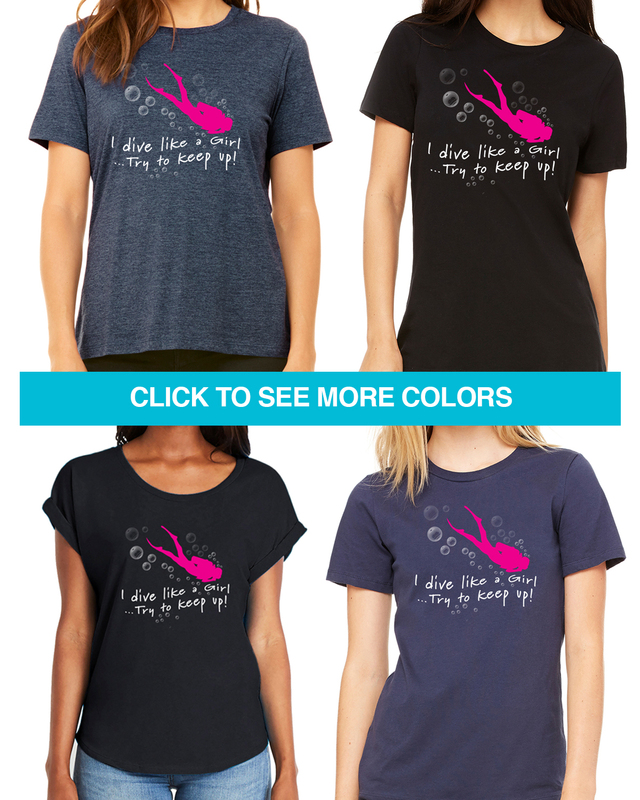 Short sleeve Have a F*cking Awesome Dive Day short sleeve t-shirts for Men and Women scuba divers. 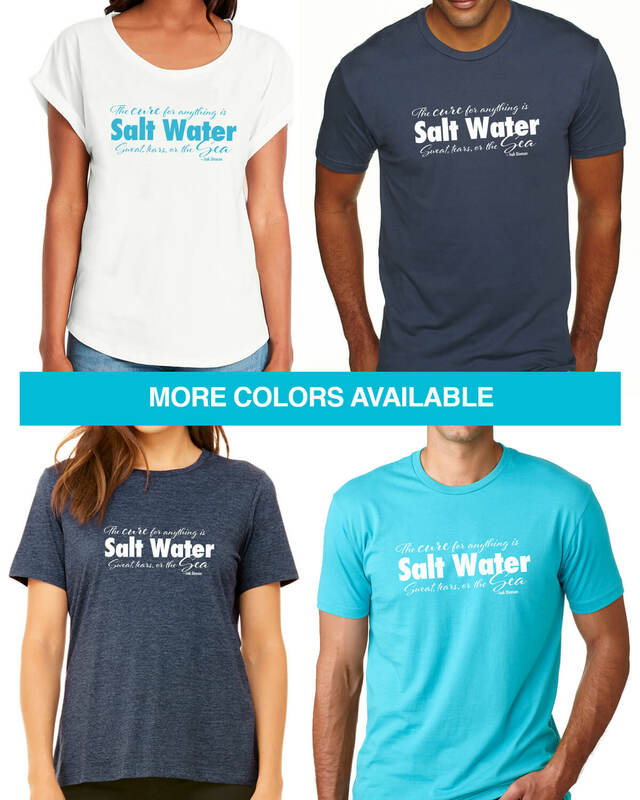 Short sleeve Scuba Diving t-shirts for Men and Women. Longer length, fitted Women's cap-sleeve style, a relaxed dolman sleeve style and a unisex style for men or Women who prefer a less fitted look. 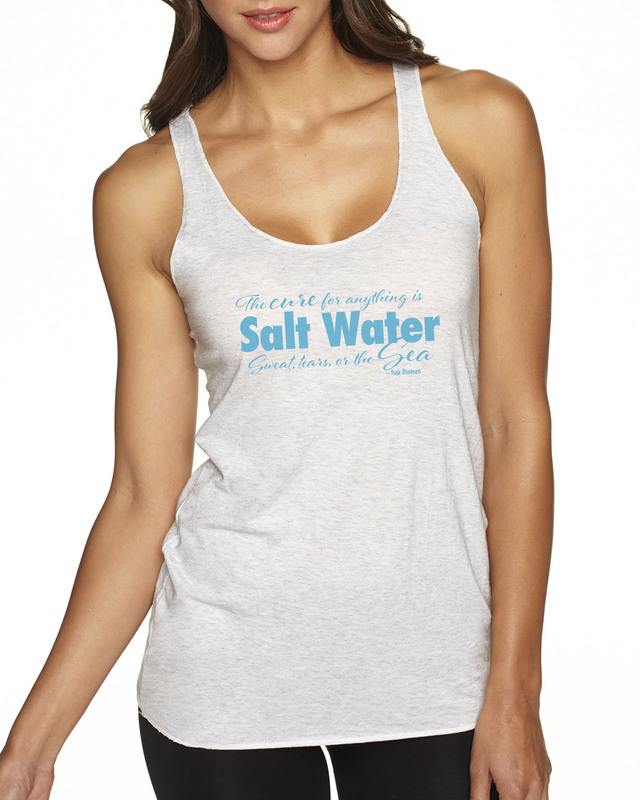 New Tri-blend Racer-back "The cure for anything is salt water… sweat, tear or the sea" Isak Dinesen quote on tank tops for women. 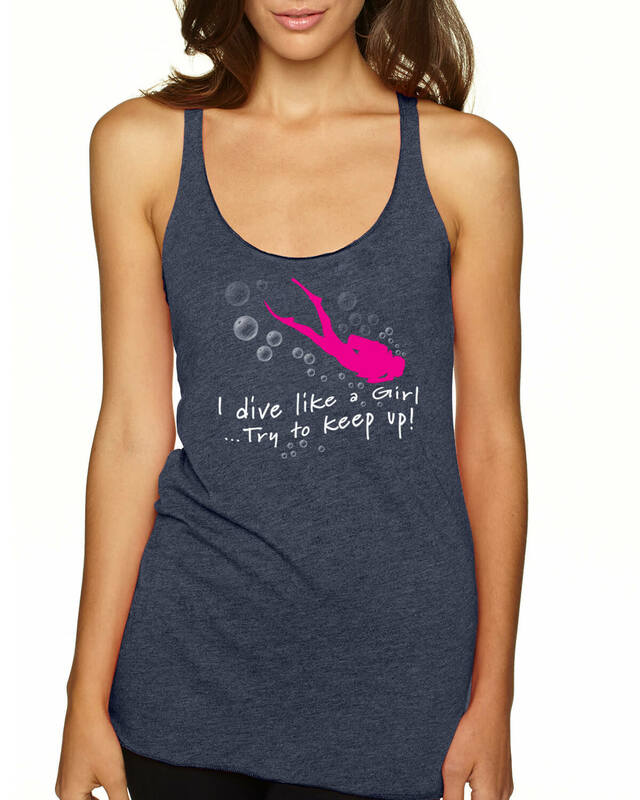 Short sleeve "I Dive Like a Girl… Keep up! t-shirt for Women scuba divers. Longer length, fitted Women's cap-sleeve style and a relaxed dolman sleeve style for women who prefer a less fitted look. 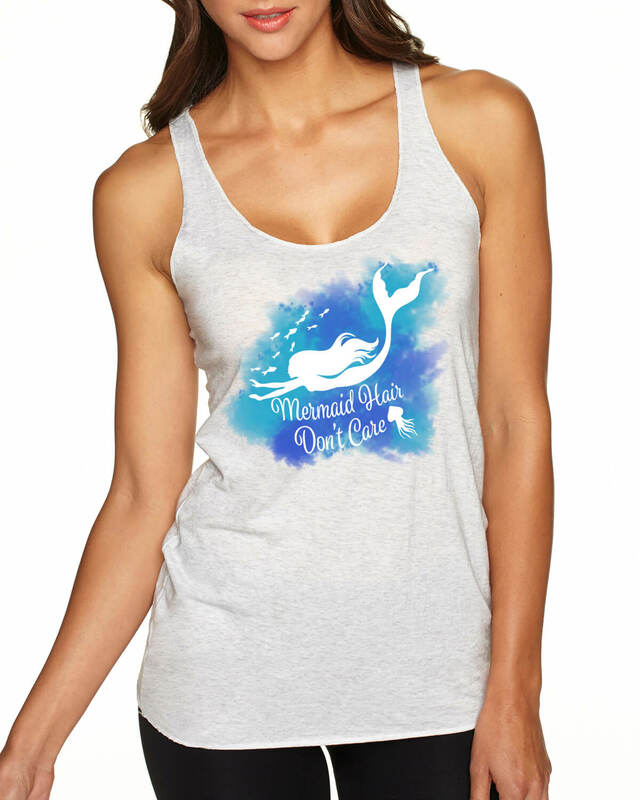 Short sleeve "Mermaid Hair, Don't Care" t-shirt for Women scuba divers. Longer length, fitted Women's cap-sleeve style and a relaxed dolman sleeve style for women who prefer a less fitted look. 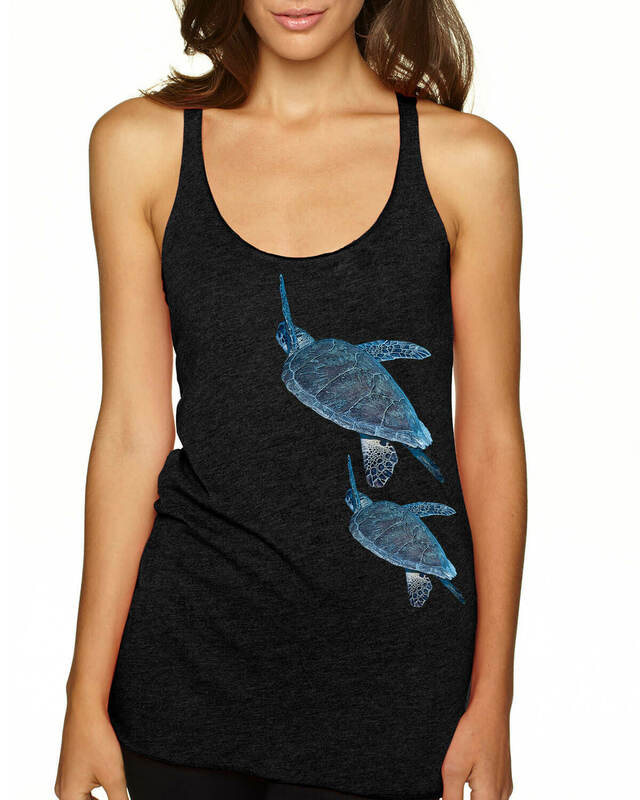 New Tri-blend Racer-back Scuba Diving design on tank tops for women. 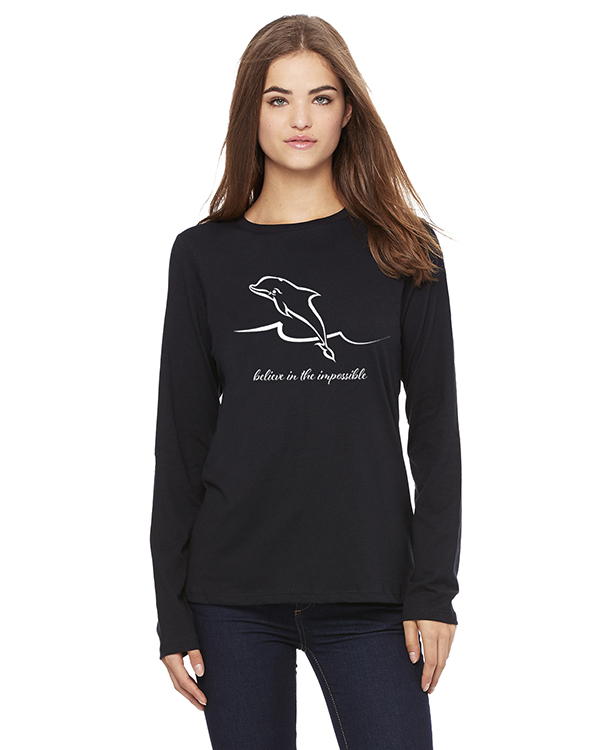 Long Sleeve, relaxed fit crew neck t-shirt for women with an inspirational scuba diving design. Short sleeve "I'm Certifiable" Scuba Diving t-shirts for Men and Women. Longer length, fitted Women's cap-sleeve style, a relaxed dolman sleeve style and a unisex style for men or Women who prefer a less fitted look. 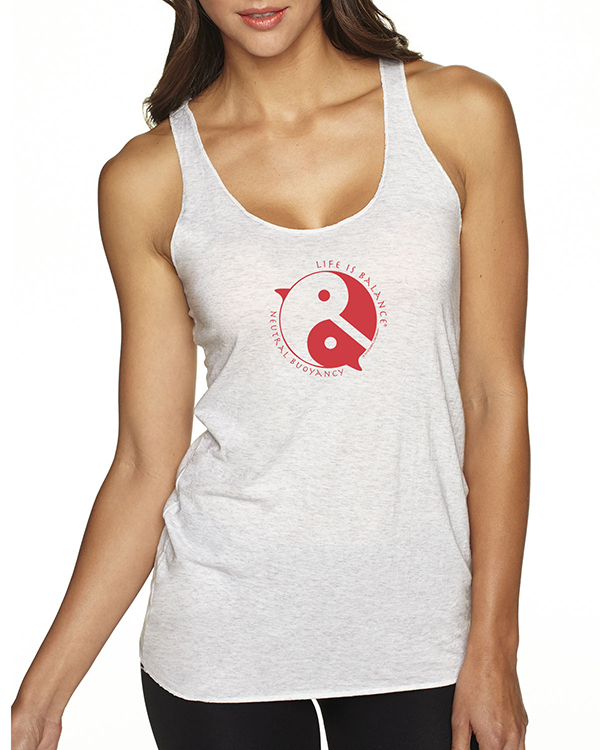 New Tri-blend Racer-back “I’m Certifiable” Scuba Diving design on tank tops for women. 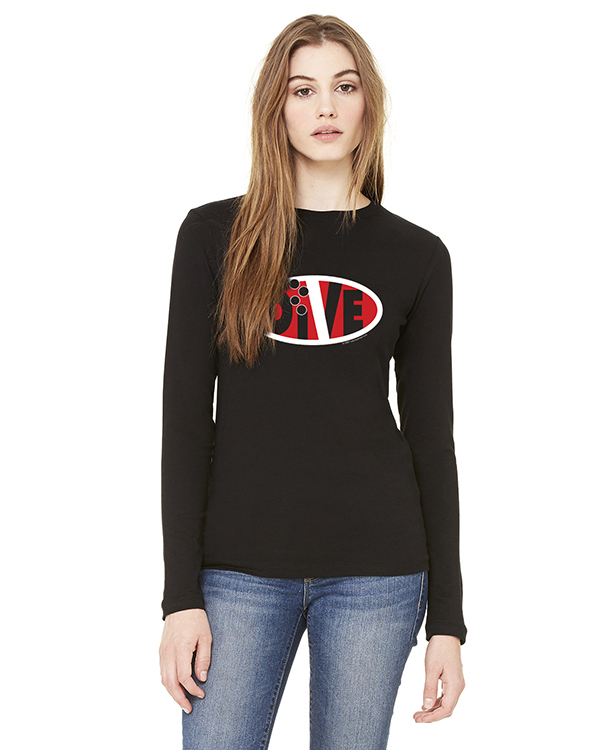 Long Sleeve, relaxed fit crew neck t-shirt for women. Short sleeve "DIVE" Scuba Diving t-shirts for Men and Women. Longer length, fitted Women's cap-sleeve style, a relaxed dolman sleeve style and a unisex style for men or Women who prefer a less fitted look. 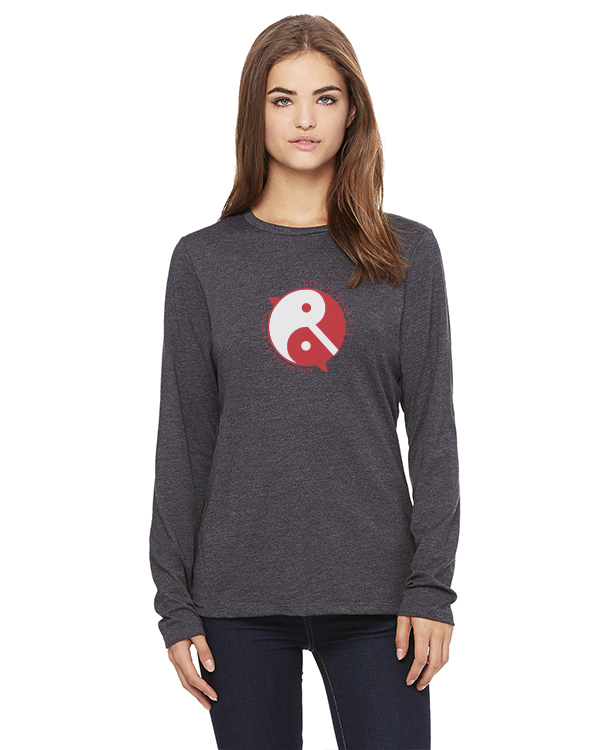 Long Sleeve, relaxed fit crew neck t-shirt for women with a scuba dive flag design. 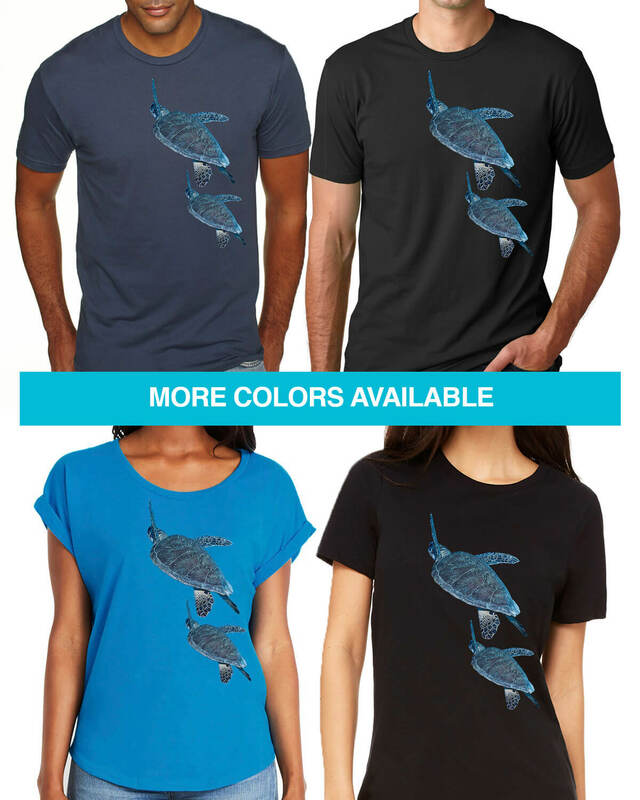 Short sleeve Dolphin Believe t-shirts for Men and Women. Longer length, fitted Women's cap-sleeve style, a relaxed dolman sleeve style and a unisex style for men or Women who prefer a less fitted look. 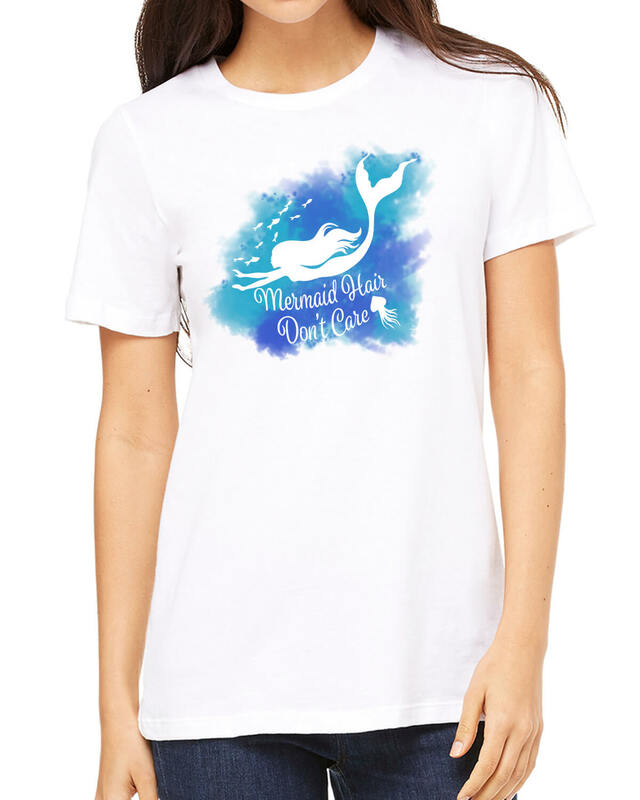 Long Sleeve, relaxed fit crew neck inspirational t-shirt for Women with a dolphin design. 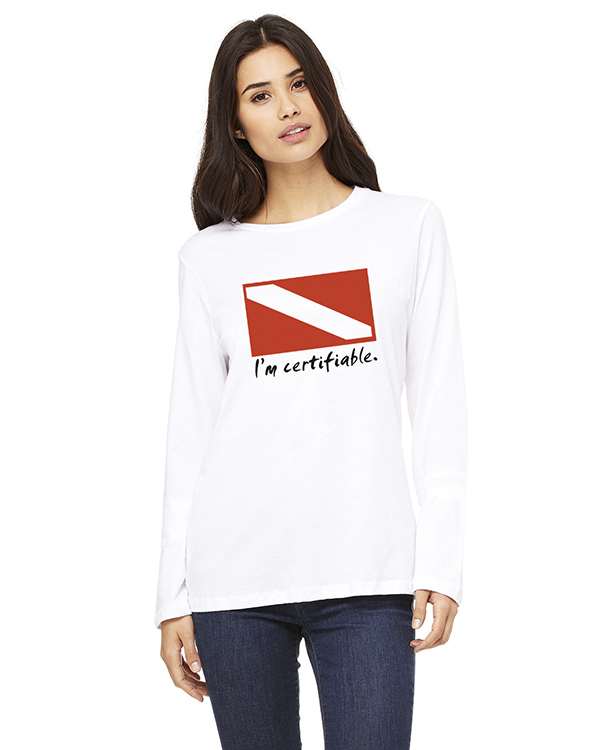 Long Sleeve, relaxed fit crew neck t-shirt for women with a Dive Flag Oval design. 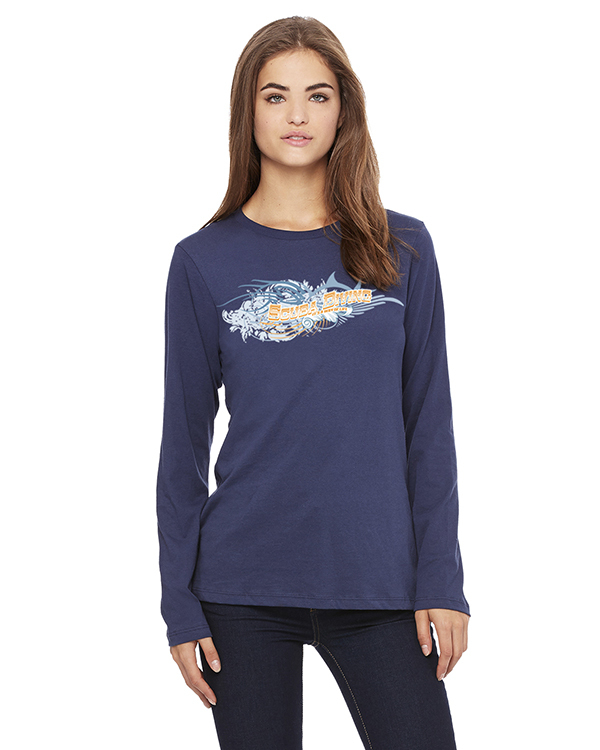 Long Sleeve, relaxed fit crew neck t-shirt for women with a Scuba Diving design.